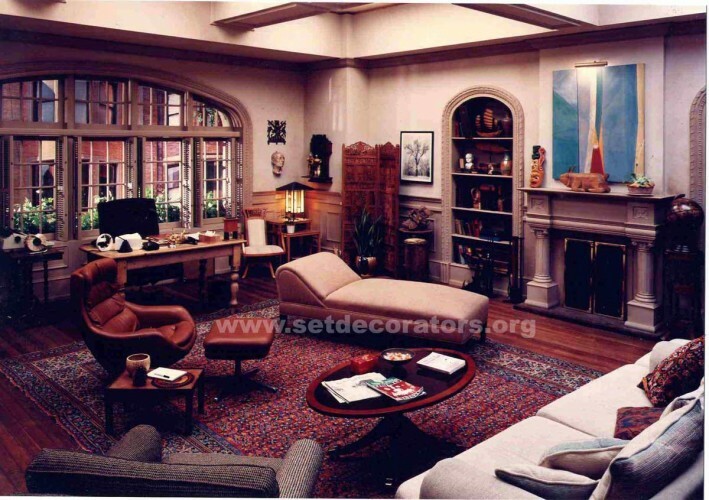 Daryn-Reid Goodall, is a 6 time Emmy nominated set decorator for MAD TV and former president of the Set Decorators Society of America (SDSA). His credits include but are not limited to: 11 seasons of MAD TV, BLUE COLLAR TV, STRIPMALL, THE MAN SHOW, THE MICKEY MOUSE CLUB. Daryn has also been an invited speaker at NEOCON WEST, WEST WEEK, and panels for ARCHITECTURAL DIGEST. Goodall’s articles have been featured in the highly regarded magazine, SET DÉCOR and his film recommendations and further ruminations are shared on the SDSA website, he has been quoted in ARCHITECTURAL DIGEST, TRADTIONAL HOME MAGAZINE and in articles in the LA TIMES. 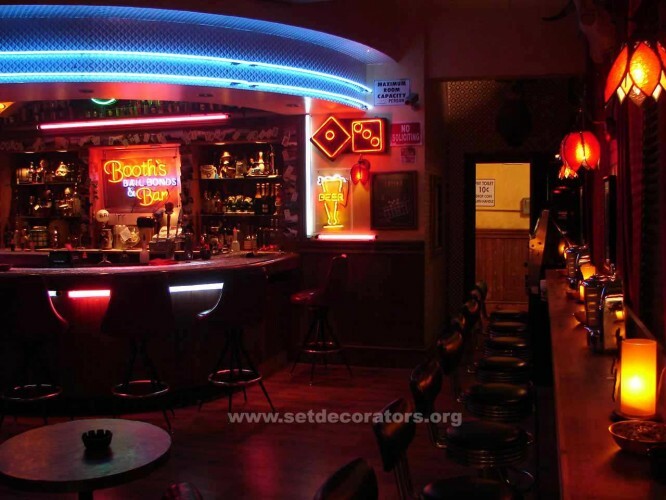 A regular participant in “DAY WITH THE SET DECORATORS” an educational program he helped to develop as an educational tool for people interested in learning about the function of a set decorator. 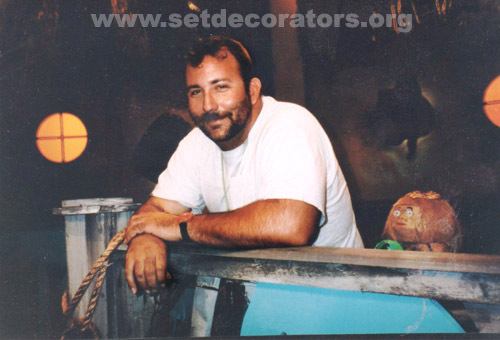 Daryn is very passionate about the craft of Set Decoration and continues to be involved in the SDSA in as many capacities as possible, serving on the Awards Luncheon Committee, Events and Revenue Enhancement committees. Answer: I majored in theatre at Utah State University but left before I graduated. I worked in Theatre in Los Angeles for several years before one of the plays I was working on was made into a TV show. Believe it or not, I think the most important class I ever took was a typing class! Answer: I have found that the internet is an amazing and important tool- so much information and all you have to do is find it. I love the ability to shop in the middle of the night! I also do a lot of people watching and read the newspapers. Answer: MADtv has been very good to me, if you spend 11 seasons anywhere, you better be having a good time. My projects with Jeff Foxworthy (including Blue Collar TV) have been rewarding because the people involved are so nice, the research is fun and there is travel involved. The Mickey Mouse Club, in retrospect was a great training ground for me, I made lifelong friends. Of course I can not discount “Strip mall”, Julie Brown was great....can everything be my favorite? It is so hard to choose. Learning to check my ego at the door. When I figure that out I will let someone know. Answer: I would do something very modern because I don’t get the opportunity to do that often enough. Answer: A Thomas guide, a small survival kit, a camera, a decorative chalk board with a cooking pig on it, an I Pod, a Tide stick, wet wipes, a phone charger, breath mints, business cards, a pen, a measuring tape, a clean shirt, a Fox ID card, a Hollywood Center ID Card,...... I think that pretty much covers it. Answer: You really need to keep up with modern technology. Also it’s important to learn to utilize any life experiences and use them in your work. Make yourself irreplaceable, meet as many people as you can and make sure you have a fallback position. Answer: Cell phone, computer and a measuring tape. Answer: I drank a bottle of cough syrup at 4:00 one morning while I was supposed to be filling the Coliseum with cardboard people. Of course it made me very loopy. The director followed me around taking pictures of me (for some reason). Then there was the time I had to find an enormous washing machine for a space ship set and it leaked. Or the times we have struck sets before we were done shooting them and had minutes to put the whole thing back together. I guess the correct answer would be: It depends on what day you ask the question. Answer: You have to be involved in everything you possibly can. The SDSA is an organization that is member driven. The successes belong to everyone, so do the failures.